Mumbai, 17th March 2017: Honda Cars India Ltd. (HCIL) today introduced its much-anticipated new model - Honda WR-V. The WR-V is an all-new Sporty Lifestyle Vehicle (SLV) based on Honda's globally successful Jazz platform. 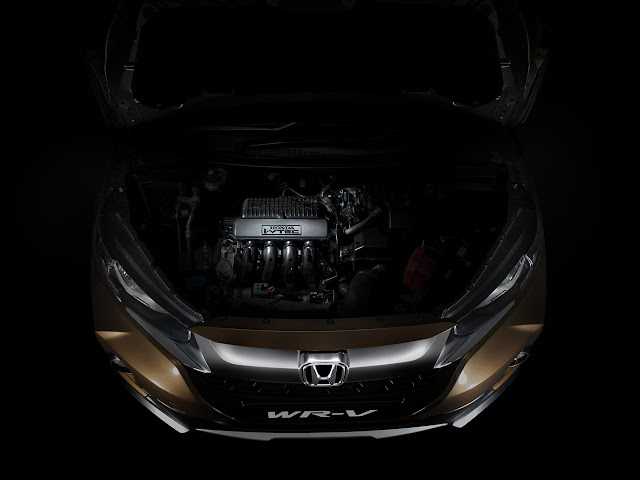 WR-V is the first model developed by Honda R&D India along with Honda R&D., Japan. The company states that WR-V is developed to match the needs and aspirations of young Indian customers who are looking for status, comfort and have an active lifestyle. The R&D in India has specifically worked on design & engineering concept suitable for right-hand drive and India-exclusive powertrains. "The fast-evolving Indian market has shown strong demand for compact vehicles that are stylish, comfortable and have premium features. 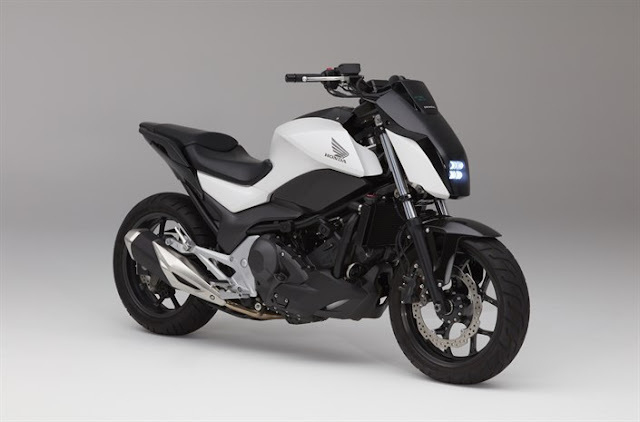 With the launch of the Honda WR-V, we would like to provide joy for recreational usage and comfortable driving for daily use in the city for customers in India. We are confident that WR-V will help us to fortify our premium image in all segments." The WR-V has been developed under the concept of "Refresh for Urban India" which is built around 3 crore concepts of Urban Active Lifestyle that is high seating stance & ground clearance, Smart Compact Exterior with Spacious Interior along with Versatility & Utility, Pleasurable high quality interior & class leading fuel efficiency. The new WR-V has a striking road presence with bold looks. It has exclusive day-time-running LED DRL & position lamps and the front grill with solid wing face. The large glass area offers better driver visibility and sense of space for all occupants. Key exterior features include Front Solid Wing Chrome Grille, First-in-segment Electric Sunroof with One Touch Open/Close Function with Auto Reverse, R16 Alloy Wheel design with gunmetal finish, Headlamp Integrated Signature LED DRLs & position lamps, Premium Split Type Rear Combination Lamps, Front Fog Lamps , Turn Indicatoor on ORVM , Silver Finished Roof Rail Garnish, Armor like protective body cladding with big tires, High ground clearance and Chrome door handles. The new WR-V comes with 2 interior color themes -Urban Casual: Black and Bluish grey seat fabric and Urban Sophisticated: Black & Silver seat fabric. Based on Honda's Man Maximum Machine Minimum concept, the WR-V offers luxurious space, which is more than even cars in higher categories. Key Interior design features include Advanced Multi-information Combination meter with LCD Display, Blue Backlight and silver finish, Eco Assist Ambient Rings on Combimeter, User-friendly smart interface for automatic climate control, Silver finished AC vents, door ornaments, dashboard ornaments, Intelligent storage spaces, Front Centre Armrest designed to fit Tablets and iPads USB plug and accessory socket, Front console box with separate pocket, 3 cup holders and 4 bottle holders. The WR-V adopts the best of Honda's powertrains to achieve a perfect balance of performance and fuel economy. The 5-speed Manual Transmission of petrol WR-V is a newly developed transmission to maximize the performance of WR-V with the 1.2L i-VTEC engine. The suspension of WR-V has been designed to match the active lifestyle of the customers with greater roll stability and improved rigidity for better handling performance. Honda WR-V offers a host of Advanced Interior Equipment that offers information , entertainment and direction for the tech-savvy young Indian customer.Everything that a customer may need to stay connected with the outside world is just a touch away. 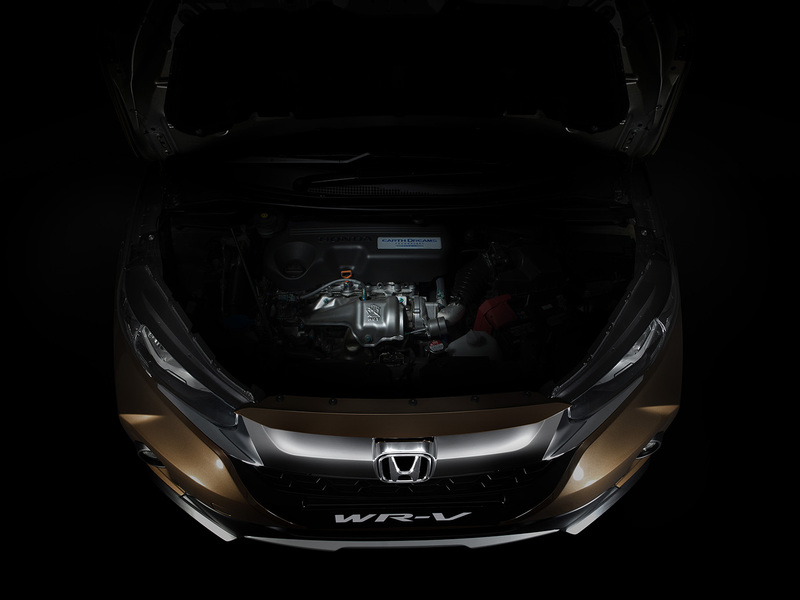 WR-V is equipped with a wide range of Honda's active and passive safety technologies, which are offered as standard equipment across all variants. The Honda WR-V is offered in two grades S and VX in both Petrol and Diesel variants. Deliveries of the Honda WR-V will begin immidiately from the HCIL dealer network of 336 facilities in 224 cities across the country. The Honda WR-V will offer complete piece of mind with 3 years/Unlimited Kilometers warranty as standard benefit to the customer. Additionally, customers can opt for Extended Warranty for additional 2 years/Unlimited kilometers for extra peace of mind.